The Mariners made a pair of minor transactions on Friday, acquiring minor league reliever Ryne Harper from the Braves and agreeing to minor league deal with infielder Ed Lucas. The Mariners made a pair of minor roster moves Friday in the wake of baseball’s winter meetings and amid their already busy offseason. Seattle completed its previous trade with the Braves, acquiring right-handed pitcher Ryne Harper as the player be named in the deal that sent reliever Jose Ramirez to Atlanta. Harper, 26, made 23 relief appearances with Class AA Mississippi in 2015, posting an 0-1 record with a 1.87 ERA. In 33 2/3 innings he struck out 40 and walked 11. He’ll be assigned to Class AAA Tacoma. Harper has been a strike thrower for much of his minor-league career. Since starting his professional career in 2011, he has made 172 appearances — all in relief — and posted a 2.16 ERA with 20 saves. In 267 innings he has struck out 317 and walked 79. The Braves selected Harper in the 37th round of the 2011 draft out of Austin Peay. The Mariners also agreed to a minor-league contract with an invite to big league spring training with veteran infielder Ed Lucas. 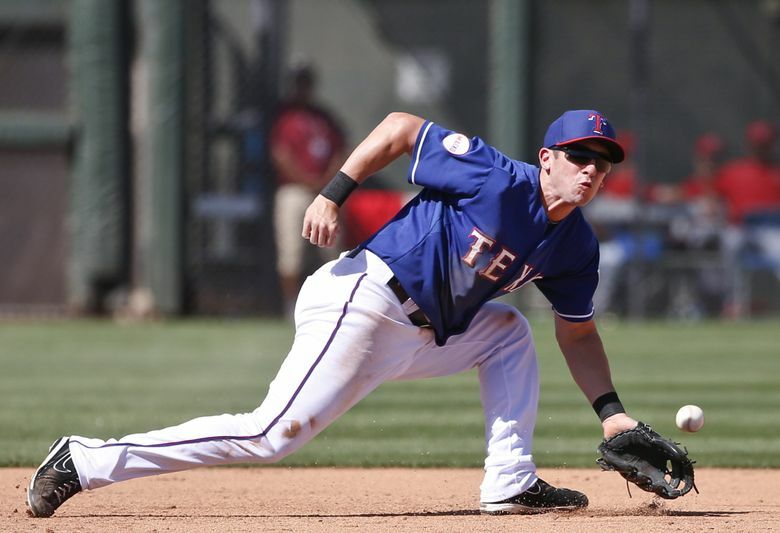 Lucas, 33, spent last season in the Rangers organization, playing in 107 games for Class AAA Round Rock. He hit .316 with an .809 OPS, 17 doubles, three triples, six homers and 48 RBI. Over the 2013-14 seasons, Lucas appeared in 163 big-league games for the Marlins, hitting .255 with a .624 OPS, 18 doubles, a triple, five homers and 37 RBI. Lucas can play first, second and third base. He will compete with Jesus Montero for the backup infield/first-base spot with a few other candidates. He also will provide depth at Class AAA Tacoma if he doesn’t make the team.